Because of the exposed air under a hammock, they are often accused of not being as warm as the popular tent-sleeping bag combo. When I know there will be trees for me to use my hammock, there is no way I would go for a tent in any type of cold weather. The ground is freezing and I’ve got an underquilt for my hammock – I’m double-warm. I love my hammock when I can use it. I also love my underquilt. An underquilt is the easiest and best way to insulate your hammock. It could make the difference between a comfortable and happy holiday and a cold and miserable one. When it comes to choosing your underquilt there are likely to be several factors at play. What are the conditions you are expecting to use it in? Will it be wet? How much money are you looking to spend? These are the questions you will need to know before you hand over your hard-earned cash. When you sleep in a sleeping bag inside hammock, the bottom of the sleeping bag compresses and loses a lot of its insulating capacity. In reality, it is only the top half keeping you warm. Even if you were sleeping in the middle of the desert, you’ll feel that extra cold all night. It’s the same principle as sleeping on a sleeping bag directly on the ground. If it’s even a little cold, you’ll feel it right through to the bone. In terms of insulation, an underquilt is like a ground cover under your tent, which also provides another layer of insulation from the ground. Most people also have a sleeping mat under their sleeping bag too. The underquilt is essentially a fully unfurled sleeping bag, which sits on the outside of the hammock underneath you. They are made of the same material as sleeping bags and filled with down or a synthetic filler. The filler is designed to trap warm air and use it to insulate you. 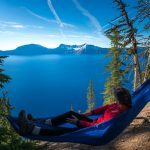 The problem with hammocks is that because there is space under the occupant for air to pass freely, it can be colder as the air has no opportunity to be trapped and heated by your body. With an underquilt, the air remains trapped and can be warmed. Down is a good option, because it keeps you warm and can be compressed to a smaller size. Down also has its limitations. When it becomes wet, its performance is severely diminished and in humid climates, where you can’t dry it out, down can become useless. 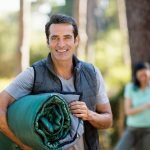 Despite this, for its lightweight design and insulating capabilities, down is still the preferred choice for underquilts for many hammock lovers like me. Synthetic quilts, in dry conditions, are not as warm as down. They are also heavier to transport and can’t be compressed into as small a package. They are, however, significantly cheaper and the insulation properties of these types are improving all the time. Down might sound plush but it is definitely a whole lot more work keeping clean over the longer them than thermal-grade sleeping bags. If you are looking to buy an underquilt and a top quilt, down can become quite expensive. For me, one who likes to walk, trek and hike with a lighter backpack, and do it a lot, I sometimes feel I’m closer to them than my family. 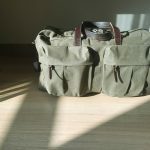 Your underquilt length should be thought of more as how much weight you are looking to carry in your pack, and how much money you have to spend. A full length underquilt will cover the whole underside of the hammock and is most suitable for extremely cold and snowy conditions. These are expensive and very heavy. If you are not expecting to camp in very chilly conditions, but just want something to keep you warm if there is a chill in the air, then a full length underquilt is probably too much. For most hammock campers, the three-quarter length quilt will be sufficient. It will handle most of the conditions Australia can throw at you and if you need any extra protection for your feet, you can put on some warm socks and keep your shoes on like I do. Three-quarter length underquilt also weighs significantly less and slightly less painful on the wallet. What do you think? 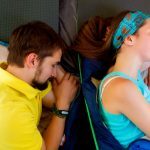 Do you use an underquilt? What is your preferred size and material? Share your thoughts through the comments section below.